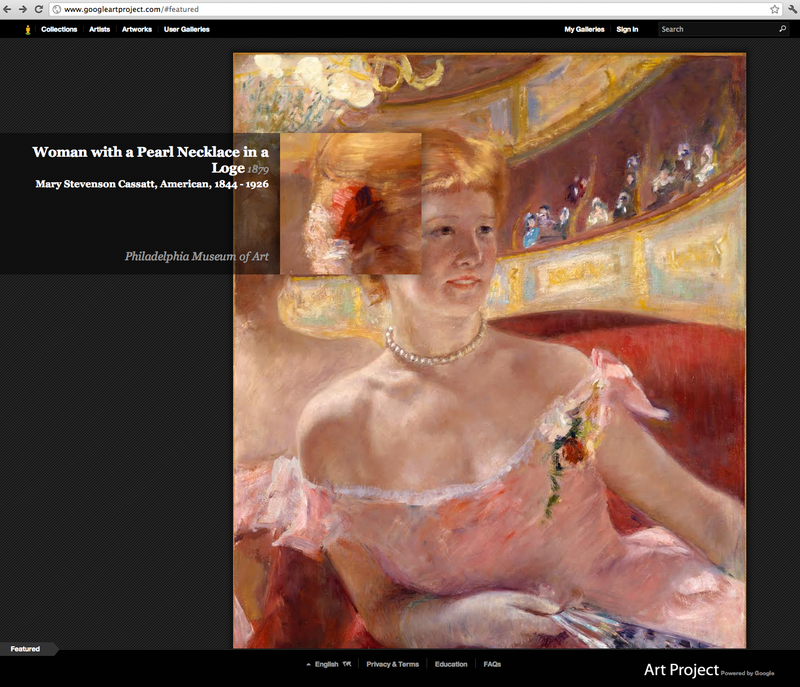 On the home page Art Project features a work of art and a “magnifying glass” that shows details as you drag the image around the screen. I know that this has been out for a while, but have you looked at this yet??! 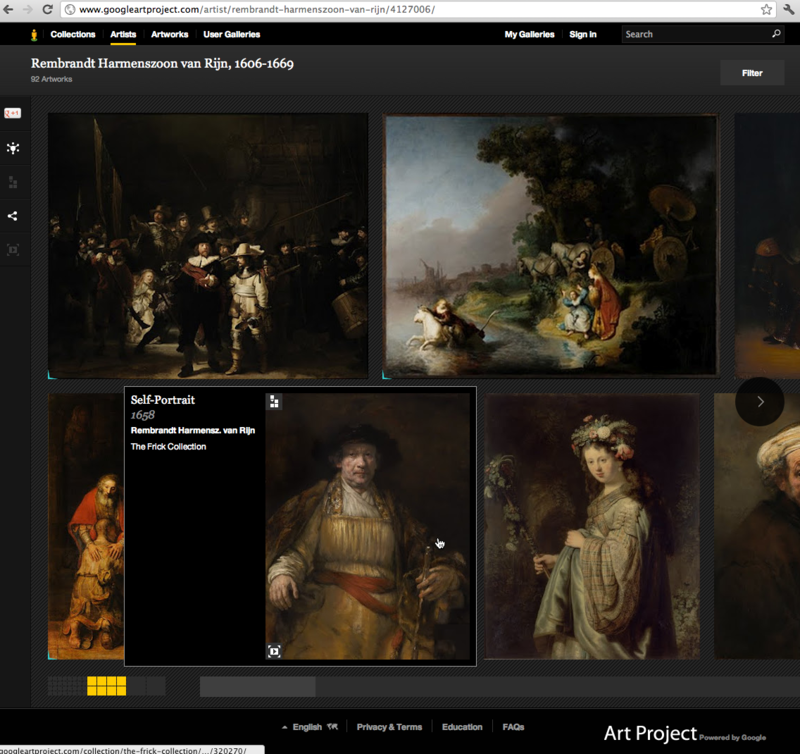 For those that don’t know, Google Art Project is basically a library of selected pieces from different collections in various art galleries around the world. Google has succeeded in omitting the middle man of travel costs and language barriers, and is bringing the art straight to you through your computer. What hasn’t Google been able to do?! The pictures are in an extremely high resolution, so what you’ll view is almost as good as seeing the pieces in person. The zoom function allows you to get up close and personal with the artwork as many times as you want. Goodbye awkwardly positioned gallery guards and embarrassing proximity alarms! This makes me particularly happy because I love looking at the different textures and brushstrokes in a painting, forever curious how some artists arrange broken color on a canvas to create an image. I’ve only been through a couple of the galleries featured, but all that I’ve seen so far has been a lot of older sculptures and paintings. Not too many abstract or contemporary pieces, at least not that I can tell yet. I’ve been passing some of my extra minutes at work by surfing through. Not everything’s worth gasping at. I think what I like most is the accessibility and the image quality – it’s seriously legit!